The winter started with above average rainfall. In December, moderate maximum temperatures caused more cold than normal. In spring, we had a high amount of rainfall and temperatures below average until April. Anticipates the blooming, starting in early April, caused by an unusual rise in temperatures. August began with very hot temperatures, which finished the ripening and initiated the maturity of the grape cluster until the beginning of the second half of August, when the temperatures dropped. 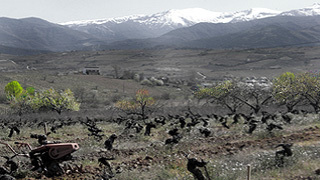 The decline in temperatures allowed a slow maturation of the skin and the seed in the old vineyard, and a more accurate harvest date was chosen. Because of this, we obtained a profile of fruit that is fresher, finer and more elegant. 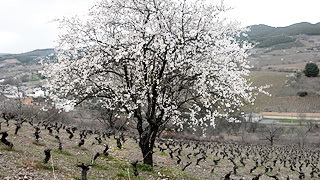 Vintage of difficult sprouting with snowfall in spring, causing a very heterogeneous sprouting. This is transmitted in a difficult ripening, with little alcohol and very good acidity. Harvest marked by the fall of stone in the month of June causing losses of 20%, a less tannic maturity but good fruity character in the wines due to a good ripening in September. All parcels were harvested before the September rains. Add of natural concentration, good sprouting, slow maturation with a cold August that caused a good phenolic concentration but with very good acidity. One of the most balanced vintages so far. One of the hottest and driest vintages ever. 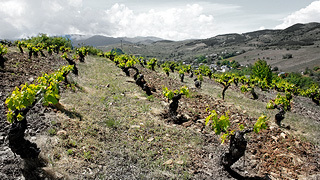 Very dry winter and vegetative cycle marked by water scarcity and high temperatures during ripening. Wines with more alcohol, low acidity but with good fruity aromas.